☝️???? w/@BadgerMBB win. Now our turn. Buckle Up. Tony Granato just had conversations at the bench with D Corbin McGuire and Patrick Sexton. Wondering if that's the decision for UW. 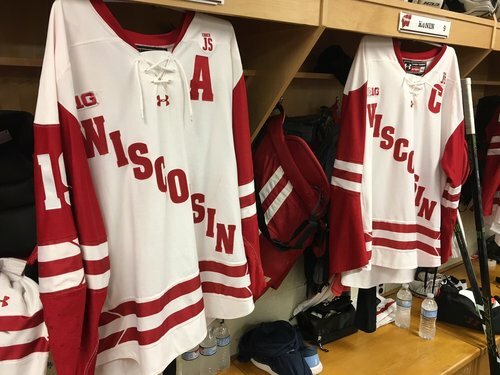 Sexton is scratched, so same lineup as yesterday for UW. 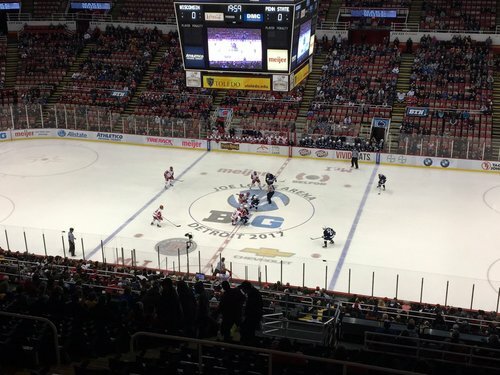 The puck is about to drop on @BigTenNetwork . #B1G ???? Referees for the B1G title game are Colin Kronforst and Barry Pochmara. Linesmen are Nick Bradshaw and Johnathan Morrison. 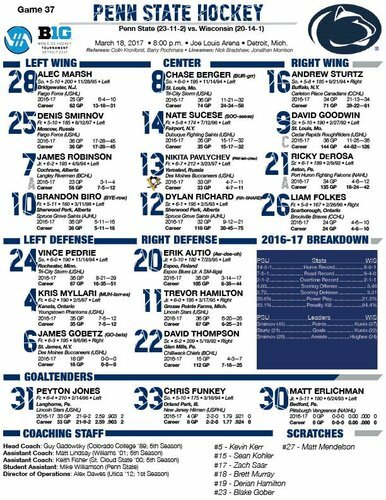 Penn State starting with the line that has scored 10 goals vs. UW: Denis Smirnov, Nate Sucese and David Goodwin. Limiting them key for UW. 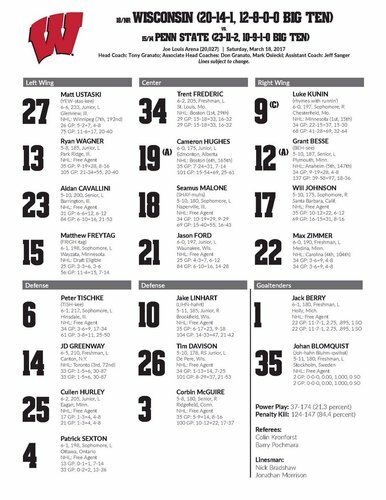 Badgers counter with their second line to start -- Ryan Wagner, Cameron Hughes and Grant Besse. 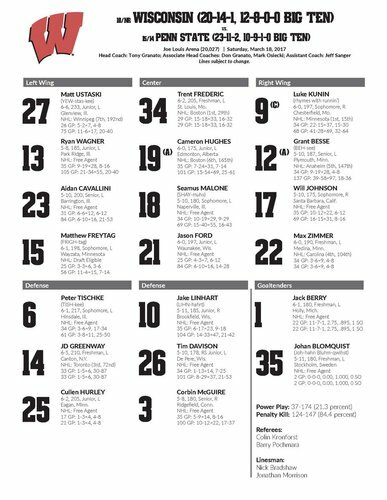 Wagner, Hughes, Besse, Tischke, Linhart get tonight's start, with Jack Berry in goal. 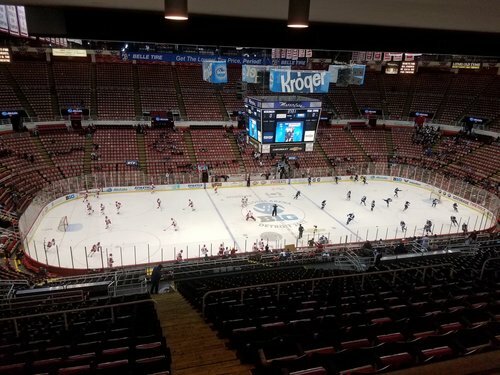 Game starts in minutes on BTN. Couple good saves early for Berry. Ustaski just wide on a right-wing rush shot. About 2 minutes in. Five minutes in, UW up 3-2 in shots. 13:46 left in first, UW and PSU are scoreless. 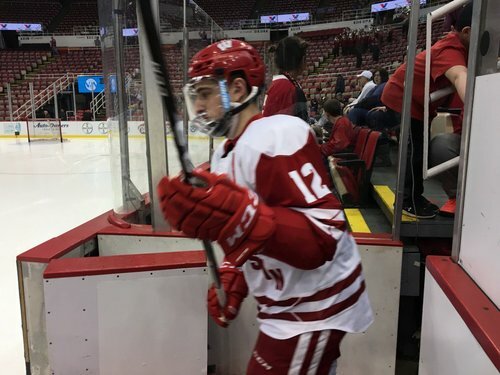 Badgers lead in shots on goal 3-2. Attempts are 7-7. 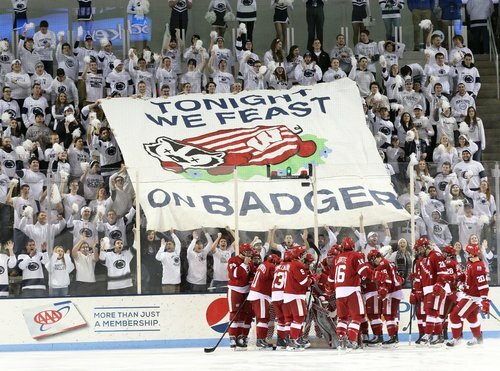 Ustaski on the doorstep after Badgers beat PSU to loose puck behind the net, but he puts it over the net from about three feet away. 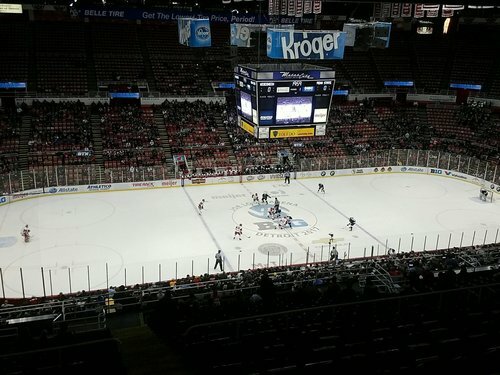 Nearly 10 minutes in and no score. Shots are 3-3. 8:43 left in the first, UW and PSU are scoreless. Big hit by Aidan Cavallini leads to Seamus Malone chance, but save by Jones for PSU. UW's Cavallini flattens PSU's Marsh in the neutral zone. No penalty called initially but now refs are looking. Clean hit to the front of Marsh who wasn't looking. No penalty after refs view the replay. Principal point of contact appeared to be the shoulder, which factors in. UW's Hughes goes hard into Jones and gets a penalty. PSU to the power play with 6:27 left in the first. Penn State gets first power play as Cameron Hughes falls and slides into Peyton Jones. 6:27 left in first. NITTANY LIONS GOAL: Just after the PP ends, Liam Folkes scores on a rebound through traffic. 1-0 PSU over UW with 4:23 left in the first. PSU strikes first. Right after power play ends, Nittany Lions pick up loose puck in slot and Liam Folkes finishes. 4:14 left in the first. Ustaski stopped on UW 2-on-1. Redirects Kunin pass. Ustaski gets a stick on a Kunin pass to the middle on a rush but Jones turns it away. PSU's Biro off the right post. HUGE save by Berry on Brandon Biro to keep this a one-goal game. Believe Berry got a toe on shot then it hit the post.